The point of this trip was to do some hiking, and even if I might have given the impression so far that all we did was eat, we did indeed do some hiking in between meals. 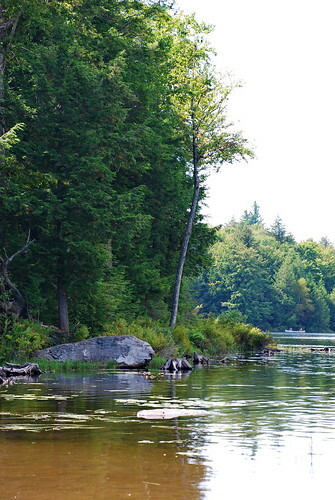 This area is a good bet for just about anyone who wants to get outdoors. It’s beautiful and there are some really fantastic views and hikes for all levels of ability. 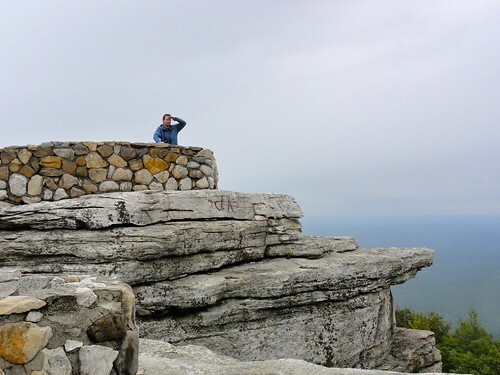 In addition to the first short hike we did the first day at Mohonk Mountain House, we got in three more during our stay in the Catskills. We spent our longest day of hiking in the Haines Falls area. 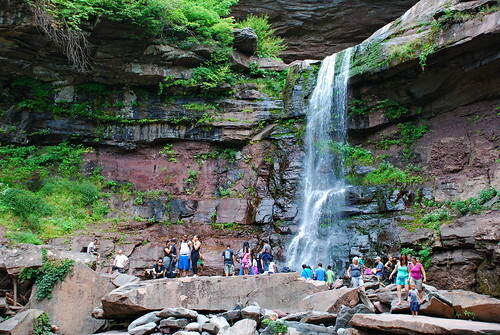 Our first stop was Kaaterskill Falls. 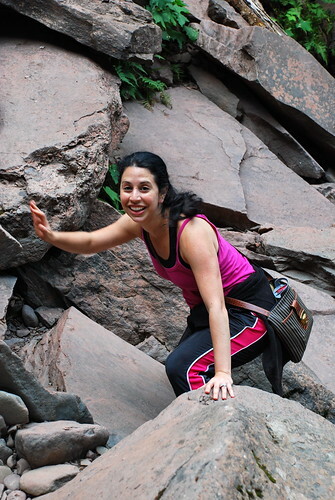 This was a short hike— about half a mile to the base of the falls—but it was kind of a scramble. Its very rocky, and it realy kind of fun to scale the rubbley terrain. We made it up to the base of the falls. A lot of people we saw continued the climb to the top of the falls, but with such gravelly slopes and my fear of heights, that wasn’t in the cards. I was very happy to stick around and play around the base of the falls for a little while. 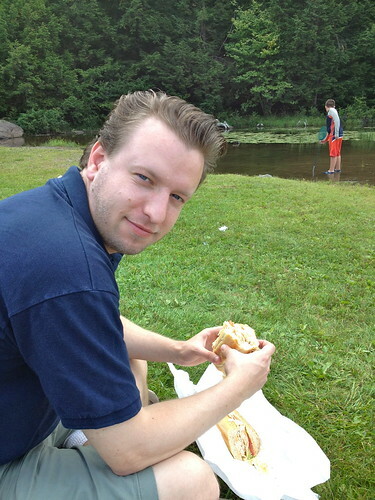 We stopped and had lunch—subs from Brianna’s Full Belly Deli—at North-South Lake. Lots of families with kids were also picnicking and playing on the beach here. If hiking isn’t your thing, this is a good option. Plenty of opportunities for play without the exertion. Or maybe you prefer kayaks, playing in the water, or just to relax and sunbathe. We didn’t stop though. 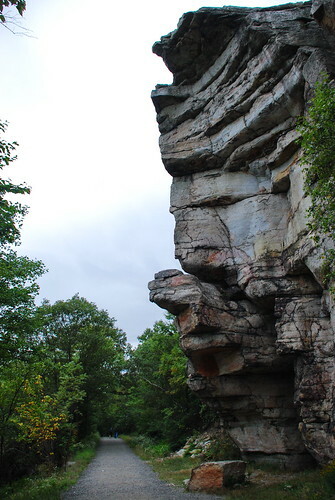 After lunch we headed to the nearby cliff that was the former site of the Catskill Mountain House. 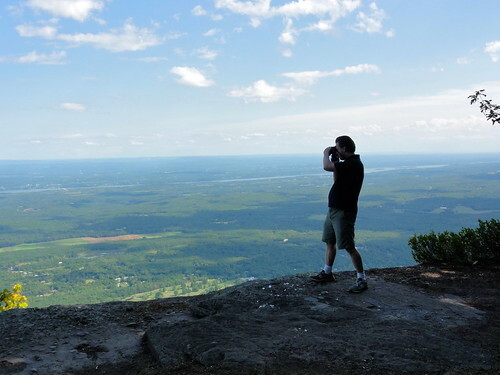 In the 1800’s to the early 20th century, a very posh hotel stood on this cliff overlooking the Hudson Valley. 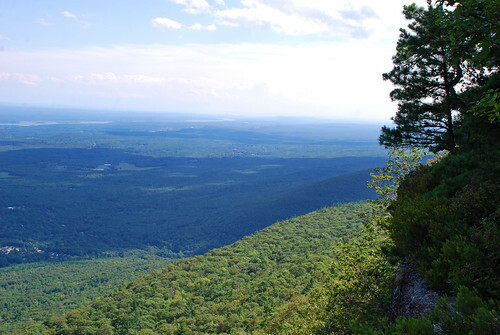 The vista is dramatic enough to have inspired several works for the Hudson River School. There’s a trail that sets off from here and follows along the edge of the ridge in the woods for a while. 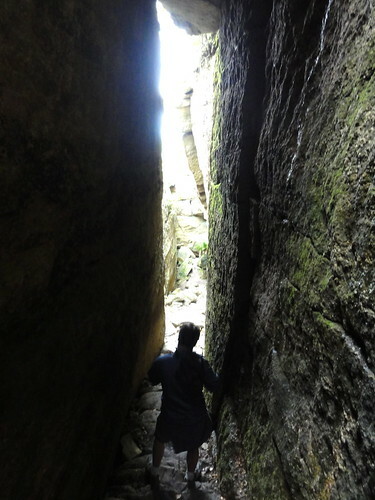 This hike is longer, but there’s a lot less scrambling. It’s pretty easy going for most of the route and gives way to several other pretty vistas. Our final hike of the weekend was at Sam’s Point Nature Preserve. We hit this spot on our way back to Manhattan after our morning in Woodstock. It was cloudy, misty, and kind of chilly when we got here. We plowed on anyways and despite the less than ideal conditions, I think this may have been my favorite hike. 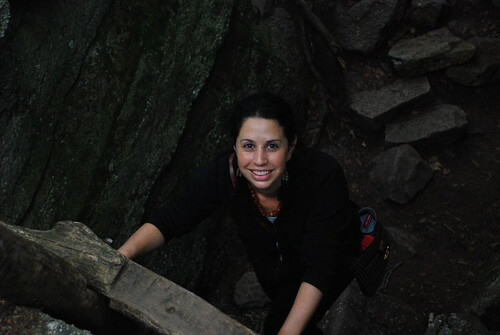 We took on the trail up to the Ice Caves. 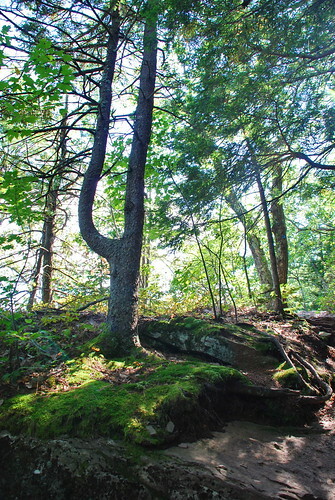 This trail has a considerable incline, but it’s wide and well tended. It not only takes you up past more spectacular views, but also leads to a loop through caves that apparently can get ice and snow even in late summer—hence why they’re called Ice Caves. No ice the day we were there, thankfully, and the trail through caves is was a lot of fun. It’s also equipped with motion-activated lights in the darkest spots, so no need to worry if you’re scared of the dark. You can find more details on this hike here. I highly recommend it—it was a lot of fun. I'd love to get up here for more outdoorsy-ness again soon. Today I’ve been at home playing blog catch-up because Hurricane Sandy is barreling at the North East as I’m writing this. So far, all is well in my corner of Manhattan, but news coverage suggests that the force of winds will hit the Catskills and Hudson Valley rather hard. My thoughts go to out to them, not to mention Atlantic City which is flooding, obviously to Manhattan, CT, NJ, as well as to the rest of the East Coast. Hoping for as a positive an outcome to this storm as possible. Be safe everyone! We used this Lonely Planet as a reference in planning our weekend.